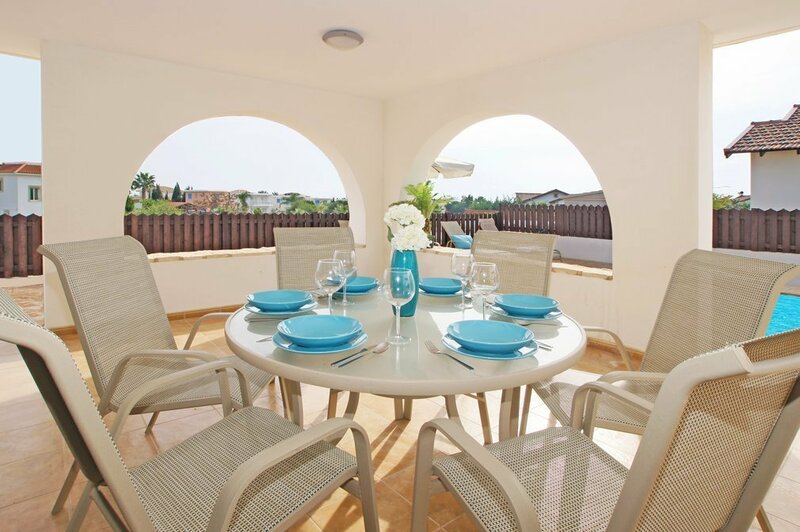 Sunset Villa is a beautiful detached 2 bedroom villa with spacious bedrooms, private swimming pool, located on a quiet residential area. Less than 700 meters to Poseidon Beach and just 10 minutes away from bars, shops and restaurants. 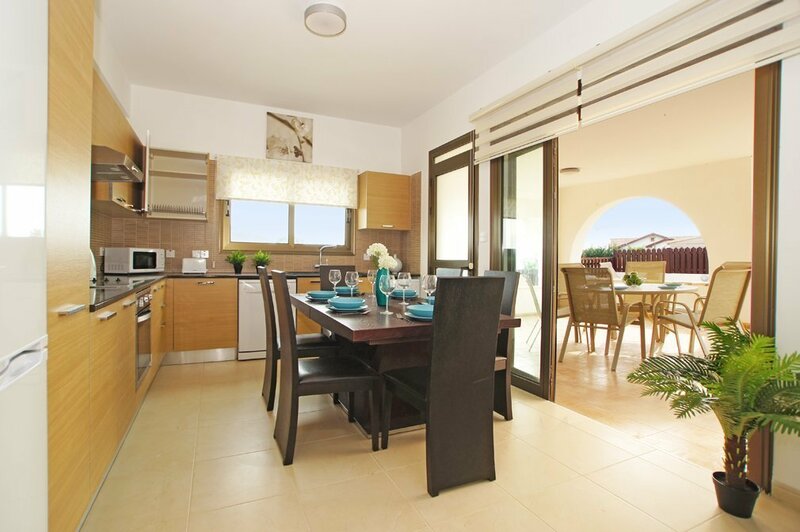 This wonderful 2 bedroom detached villa is situated in the coastal area of Ayia Thekla. 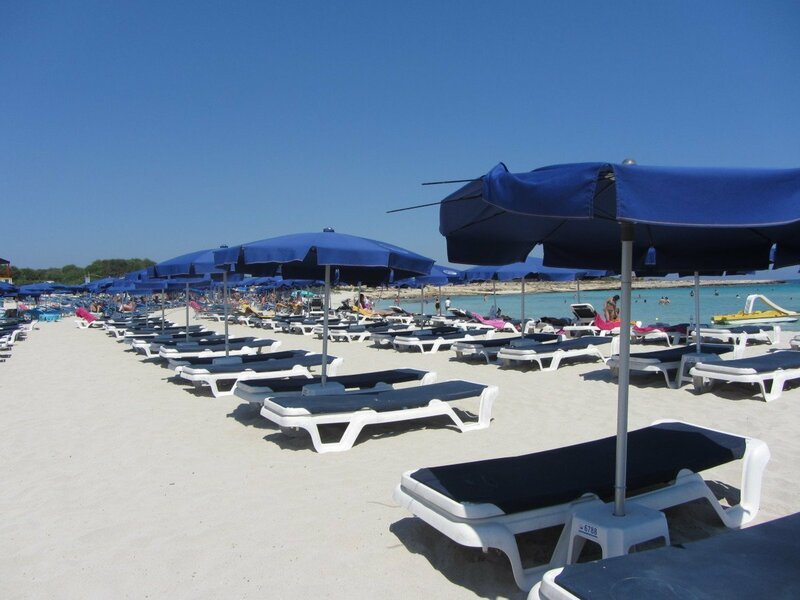 A beautiful sandy beach is just 700 meters away and famous Nissi Beach is only four kilometres away. 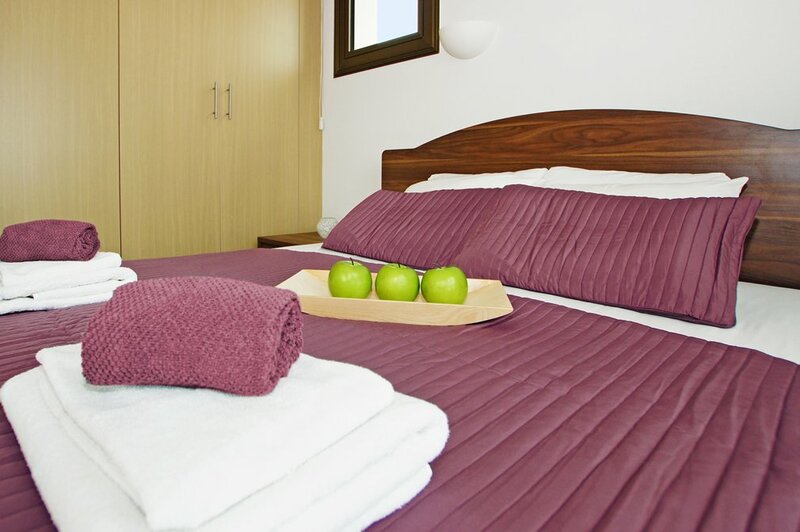 Fully equipped with a large private garden and swimming pool, has everything you need for relaxing and sun-filled holiday. 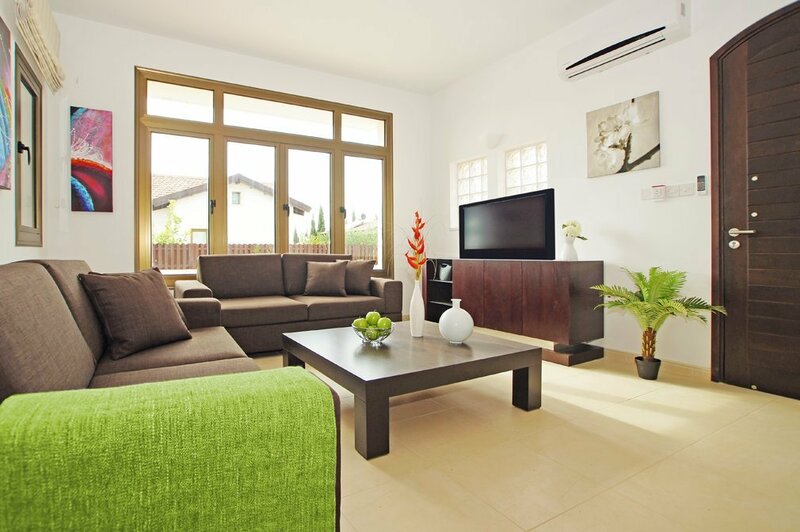 Sunset Villa is in a small residential complex, tastefully furnished throughout. 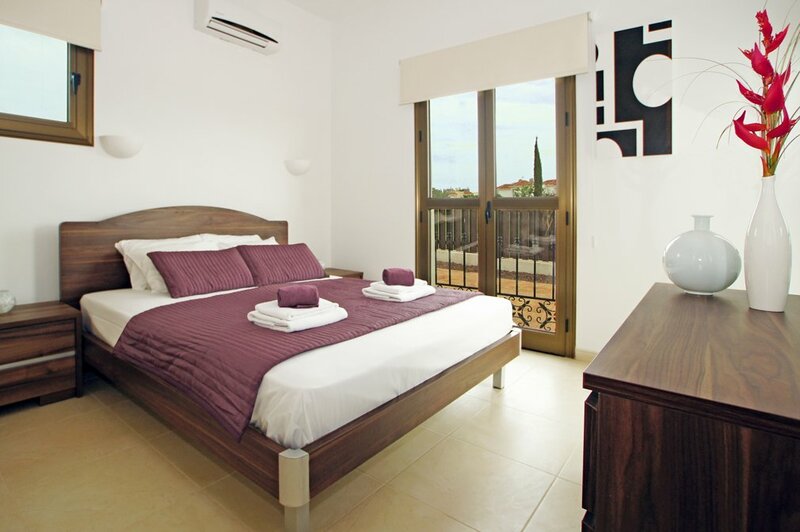 All windows and patio doors have fitted blinds while the villa is air conditioned throughout. 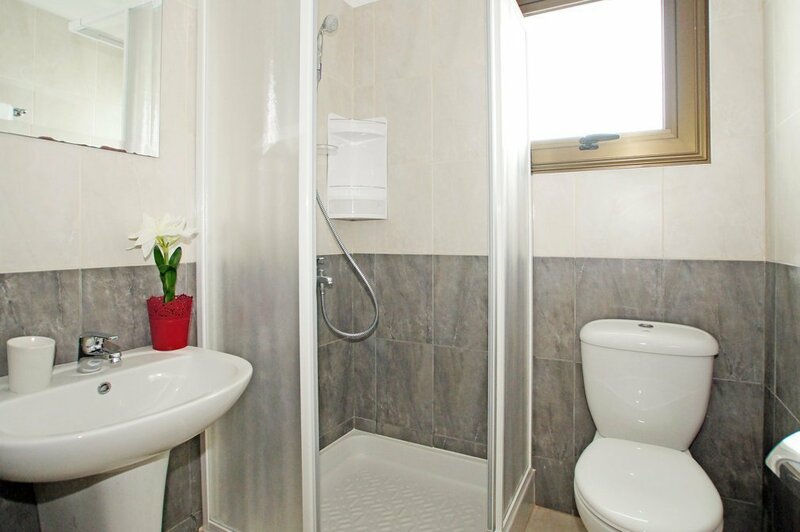 There are two bedrooms and 2 bathrooms with washing basins. 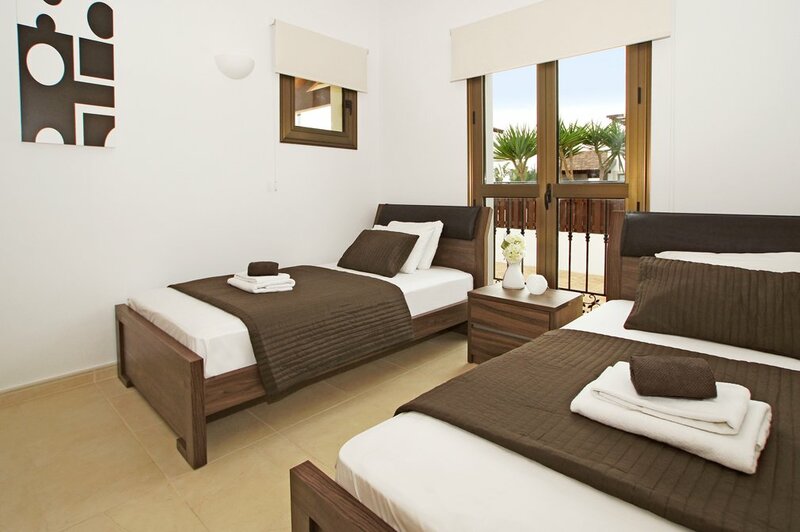 One of the bedrooms has a double bed and the other has 2 single beds. 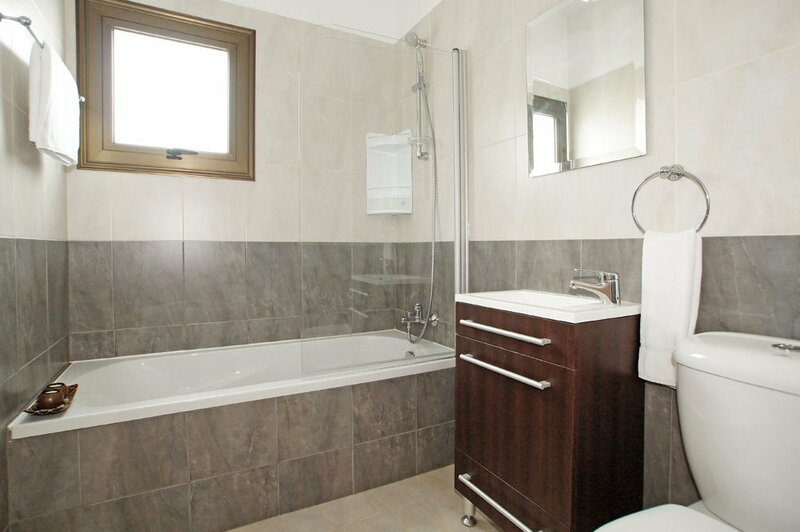 Both bedrooms have private patio and they have built in wardrobes. 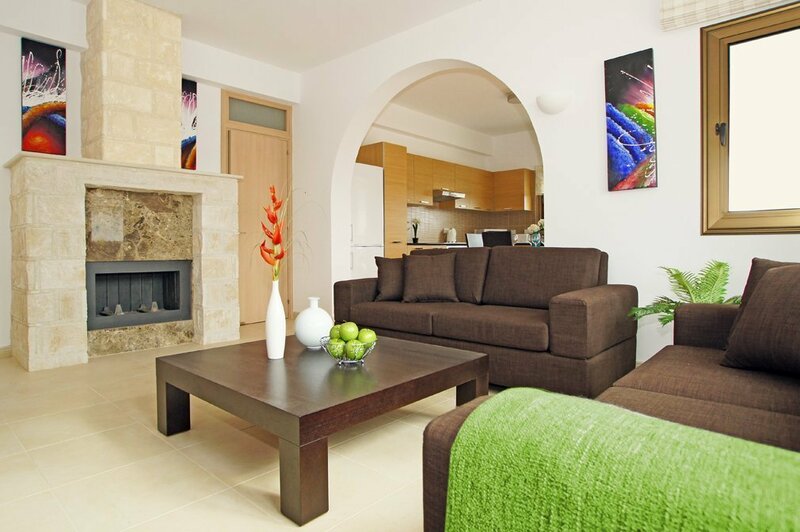 The living room is open plan with kitchen and dining table with 6 chairs ; there are TV, Satellite, DVD player and internet connection. 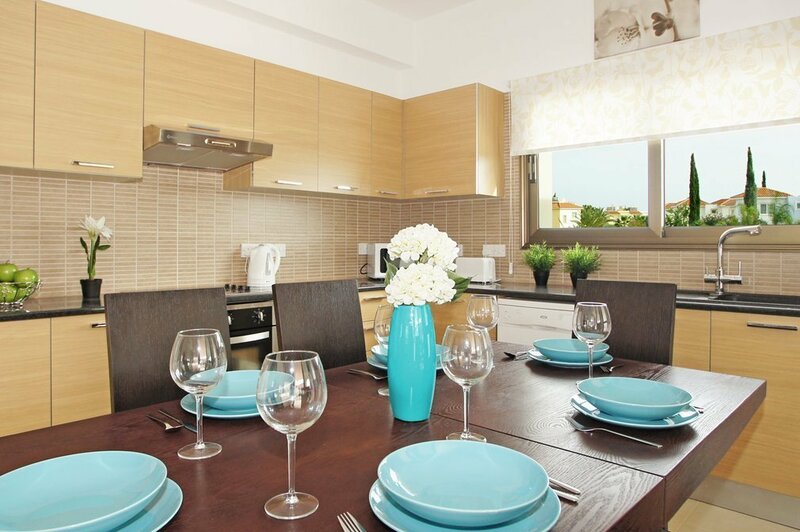 The kitchen is fully equipped with fridge/freezer, cooker, microwave, toaster, kettle, washing machine, dishwasher, ironing facilities, oven, all cooking utensils. In the garden there are a private 8m x 4m swimming pool and a set of pool side furniture. In addition there are veranda and pergola with sunbeds and umbrella. Private parking is available too. The villa is located in Ayia Thekla. The coast is just a few minutes walk and there are numerous small beaches all along this coastline within walking distance. 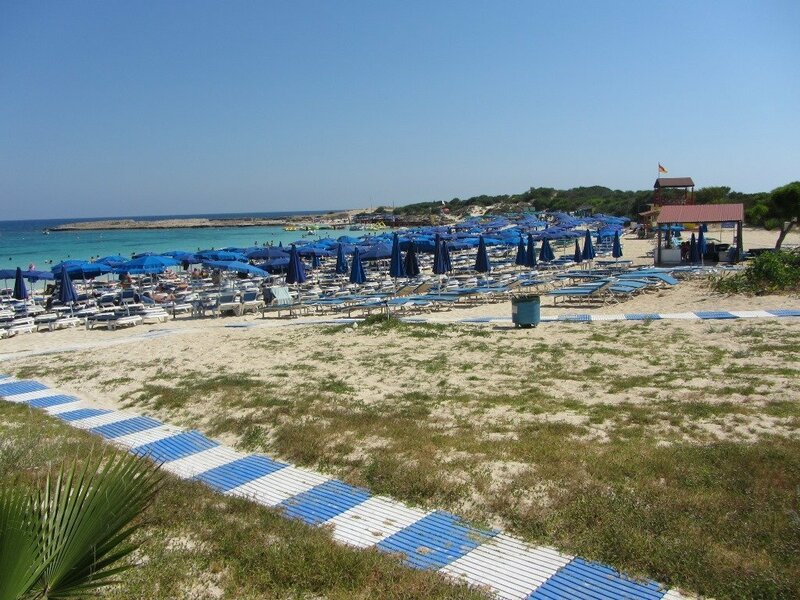 Ayia Napa main tourist center is approximately 7 kilometres with a selection of international restaurants Italian, Chinese Greek. There are also bars, shops, banks, kiosks, car hire rental offices, and supermarkets. 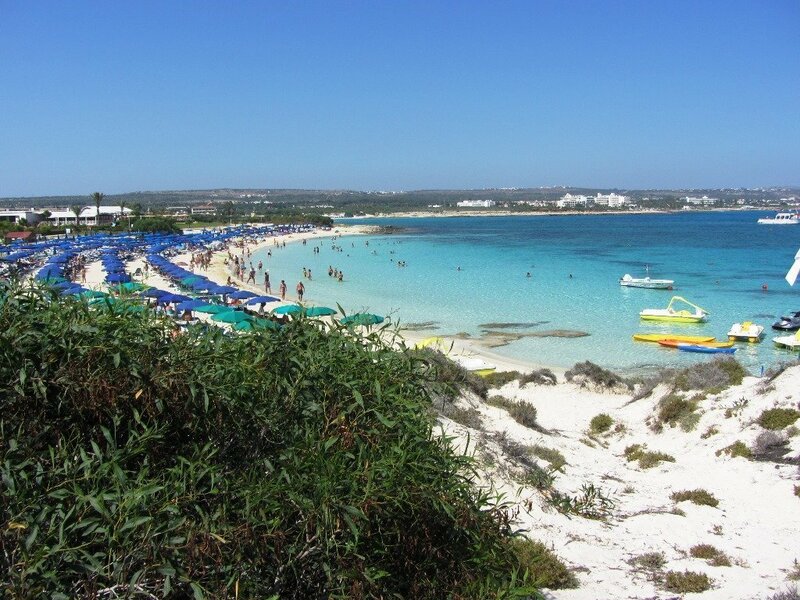 The main hourly bus route takes you to local towns and Protaras resorts such as Kapparis, Pernera, Ayia Napa and Paralimni. 30% deposit of the total amount of the booking cost is required to be paid on the day of booking for the booking to be secured. The remaining balance must be paid 40 days before arrival. Directions and arrival instructions will be sent after balance payment.